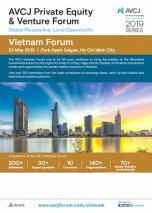 What is the current and future role of private equity in the Vietnamese economy? How do LPs and GPs view Vietnam against the rest of the region? What is the landscape for deal-flow, execution, and exits? How to work with entrepreneurs, co-investors, LPs, and government officials to create win-win situations? What is the outlook affecting cross-border activity? How will the new competition law improve cross-border deals? What are the key deal-breakers in transactions: valuation, due diligence, and post deal? What execution challenges exist in cross-border transactions? The role of corporate investors, including SOEs, private conglomerates, and regional players, has changed significantly. From private equity beneficiaries in their infancy, to strong partners in co-investments and exits, these companies have grown into leading enterprises. Now, many have created dedicated investment platforms and sector-focused funds to leverage their industry expertise. How will this trend impact the evolution of Vietnamese private equity? Our panel of corporate investors and corporate spinout funds evaluate the opportunities and challenges ahead. Are corporate investors more strategically or financially focused, and what are their investment approaches? How different are corporate investors from GPs in operational value creation, deal selection, and exits? How are these up-and-coming managers gaining traction from LPs? Where do corporate investors and spinout managers fit in the private equity ecosystem? Can they be synergistic instead of competitive? As deal sizes inflate and new openings emerge in a winding value chain, Vietnam’s consumer economy has started attracting a wider range of investors. Private equity is uniquely positioned to exploit this opportunity, with Vietnamese companies finally reaching the size where their growth capital requirements are attracting large strategic investors and international private equity. Which technology shifts are changing the digital landscape? Which sectors are hot: retail, F&B, logistics, financial services, healthcare, and education? What is the role of the nascent middle class and increasingly disposable income in driving growth? What is the appetite for consumer-driven businesses? What is the sector outlook? How is the entertainment and leisure segment shaping up? How does it compare with the rest of the region? Venture capital: Taking the lead? How is the venture capital landscape developing? What does value creation mean in a Vietnamese venture capital context? What is the role of fintech in the digital economy? Where does Vietnam fit in the Southeast Asian ecosystem?